I was running backstage, not even keeping track of the corners that I passed on my way. I stopped and took a deep breath, my eyes darting back and forth as I tried to spot Seth. I tried to distinguish what part of the arena I was in, but I hadn&apos;t remembered coming this way before, but it didn&apos;t matter to me. As long as I got my hands on Seth Rollins that would make me sleep well tonight. I jumped when I heard something fall over to my right, which was another hallway. I took off jogging down it, preparing for a fight. I turned the corner before I had to stop dead in my tracks before I ran into them. I took a shaky, nervous breath. I jumped a little when somebody grabbed my shoulder. "You don&apos;t think I was prepared for something like this?" Seth said, "You&apos;ve fallen right into my trap." I threw his arm off my shoulder before I turned to face him, "Let me go, Seth." Seth put his hand over his heart, "Oh, I&apos;m sorry. If I recall you were the one that was chasing me and.... what did you say? That you were going to beat me up?" I didn&apos;t say anything. I just continued my glaring. "Well," Seth put his arms out, "Here&apos;s your chance." "Oh trust me I would like nothing more then to punch your teeth down your throat," I told him, "But I&apos;m afraid that your buddies wouldn&apos;t let me get that far." Seth smirked, "Smart girl. 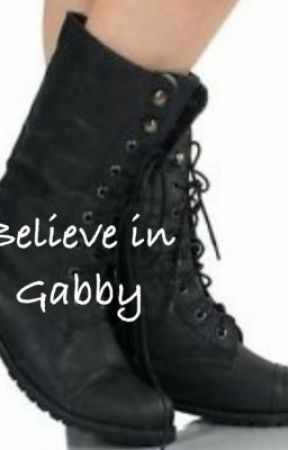 Listen, nobody has to get hurt here, Gabby." "I&apos;m not making any agreements with you," I said. Seth put an arm around my shoulders, "Listen, Gabby. Do you honestly think Dean cares about you. Dean Ambrose is a lunatic. When the running gets tough, he&apos;ll leave you in a split second." I shoved him away from me, "You and I both know that he would never abandon me." "Or so you think," Seth said, "Everybody has abandoned you," Seth continued, "Daniel left you. Brie left you. Even your dear father left you." "Do not mention my father in this," I warned him. Seth nodded, "Fair enough. You see all you think you have left is Dean Ambrose. It isn&apos;t much, but it&apos;s something." "That&apos;s all I need," I told him. Seth chuckled, "So here&apos;s the deal Gabby. Either you can finally do what you were meant to do and that&apos;s join the authority or you can be taken out." I punched him right in the mouth. Seth grabbed his jaw as he turned back to me, "Alright, have it your way then...."
Seth was interrupted completely as someone came flying in and sent him on the ground. Dean. Roman came in from behind him and went right after Kane. I took a deep breath before launching myself at Randy. Randy started hitting me with punches, but Dean quickly threw Randy off of me and the viper scurried away, followed by Kane. Seth was already no where to be found. Roman watched them go with a glare as Dean ran over to me, "You alright?" I got up from where I was sitting on the ground, "Yeah, I&apos;m fine. They didn&apos;t hurt me."